If you’re thinking about spending the holidays away from home, London should be on the top of your list! The city comes to life during the holidays, with festive activities and cheery Christmas markets in every corner of the city. The cooler temperatures will get you in the holiday spirit, too. With Christmas decorations lining the main shopping streets, ice rinks in historic settings and fabulous theatre shows on the schedule, it’s the perfect time to celebrate all things merry and bright. 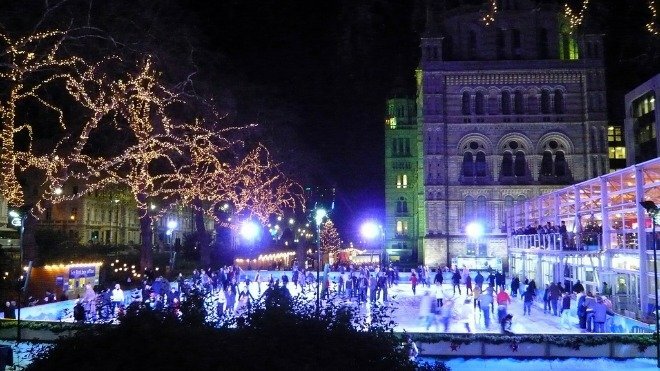 Only during the winter season and holidays can you skate beneath 80,000 twinkling lights with a backdrop of South Kensington’s most popular museum. There’s a gorgeous Christmas tree and a old fashioned carousel to add to the festive atmosphere around the 1000 sq. meter rink. When you’re finished skating, you can grab a cup of hot chocolate at one of the outdoor vendors to warm up before visiting the Natural History Museum or nearby Victoria & Albert Museum to complete the perfect winter day. The rink is open from October 29th to January 3rd, and it is a popular and beloved rink so be prepared for a crowd. For more rinks, check out our list of all the best places to skate in London this year. 2. The Best Holiday Shopping! 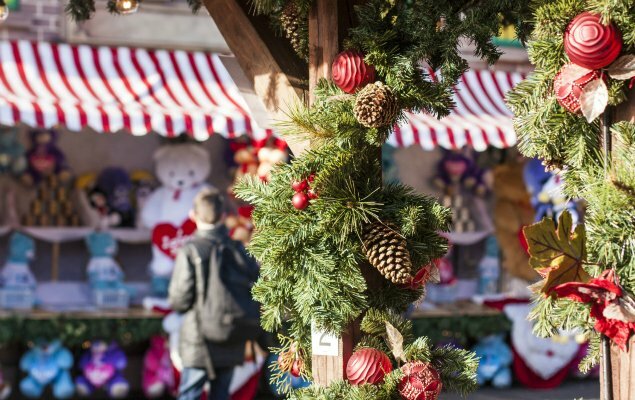 If you’re in the mood to do a little shopping for the friends and family in your life, then plan to come to London in November and December to enjoy the holiday atmosphere while checking off your holiday shopping list. 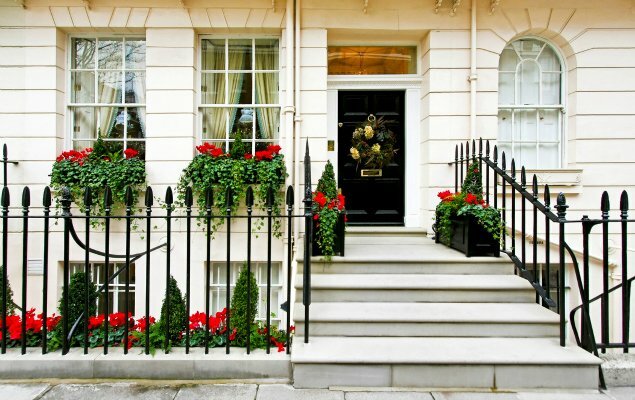 From charming Chelsea to the hunt for antique treasures along Portobello Road and, of course, the famous shopping streets like Oxford and Regent streets, you’ll find something for everyone on your list. Check out our suggestions for the best holiday shopping spots in London for more ideas! For the little ones on your shopping list, London is home to some great toy shops. Hamleys, which was founded in 1760, is the city’s famous toy shop. You’ll find the seven-floor store on Regent Street. Be prepared for holiday shopping crowds, but that’s part of the experience! If you’re looking for a unique gift to take back home, check out the Benjamin Pollock’s Toyshop. Its signature toy is paper toy theatres. For something more common, you’ll find the Disney store on Oxford street. Whether you want to see something traditional like The Nutcracker or something a bit more modern like the musical version of the Will Ferrell movie, Elf, there are dozens of holiday-themed shows to check out in London’s theatre district. 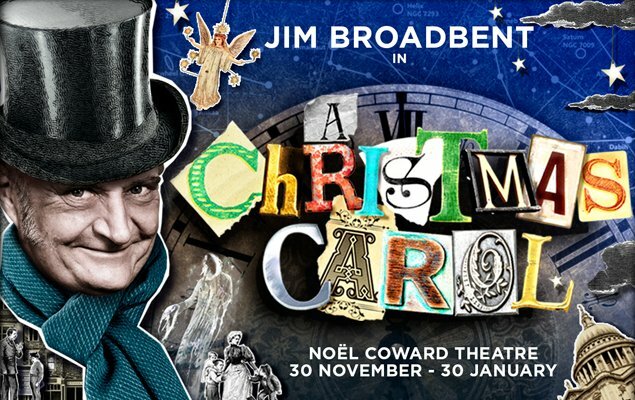 This year one of our top picks is the classic Dicken’s tale A Christmas Carol featuring Academy award winning actor Jim Broadbent. Some of the shows are quite popular, so if you’re interested in seeing a show it’s a good idea to book tickets ahead of time. From November 20th to January 3rd, London’s Hyde Park is home to a Winter Wonderland. Shop at the Christmas markets, check out an “ice forest” full of frozen sculptures and watch circus acts. General admission is free, but some events require a specific ticket. There’s so much to do, you can make a whole day of it if the weather is cooperating. Find out more and book tickets in advance here. 5. Save Up to 20% on Your London Stay! We have one final and very tempting reason why you should put London on your winter travel calendar this year. 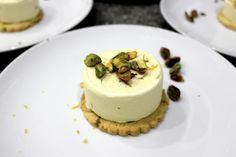 Right now during our Winter Magic Sale you can save up to 20% off your London Made Perfect vacation apartment rental. 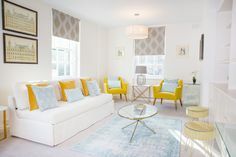 Enjoy a cosy stay and have plenty of room for leisurely evenings at home – and for storing all those great holiday shopping finds! 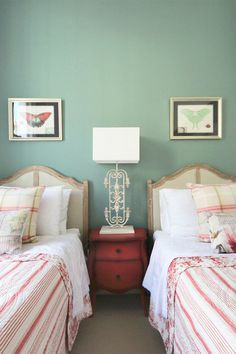 This sale even includes the Thanksgiving and Christmas holidays, which is extremely rare. Visit the Winter Magic Sale to find out more and to book your stay in London this winter at amazing savings! Have you been to London over the holidays? What did you enjoy the most? Share it in the comment section below. We’d love to hear! Posted on Saturday, October 24th, 2015 at 3:17 pm in See & Do. You can follow any responses to this entry through the RSS 2.0 feed. You can leave a response, or trackback from your own site. 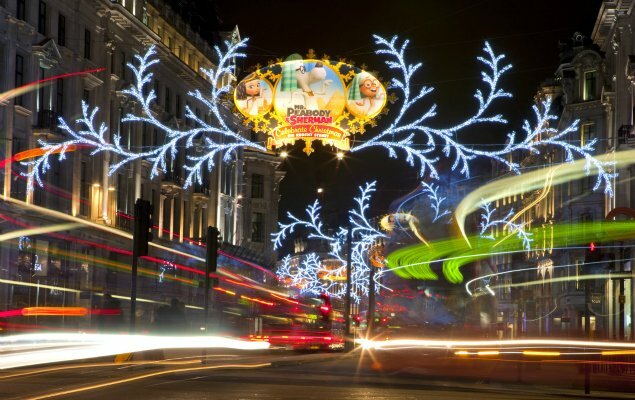 No Place Like London for the Holidays Winter Magic – London for the Holidays! Happy Holidays from London Perfect! 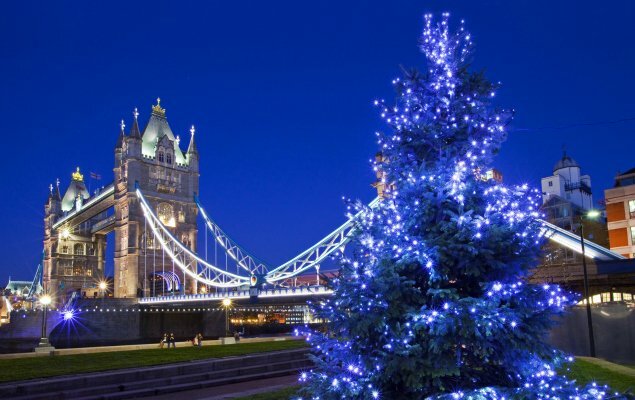 Magical Holiday Traditions In London!